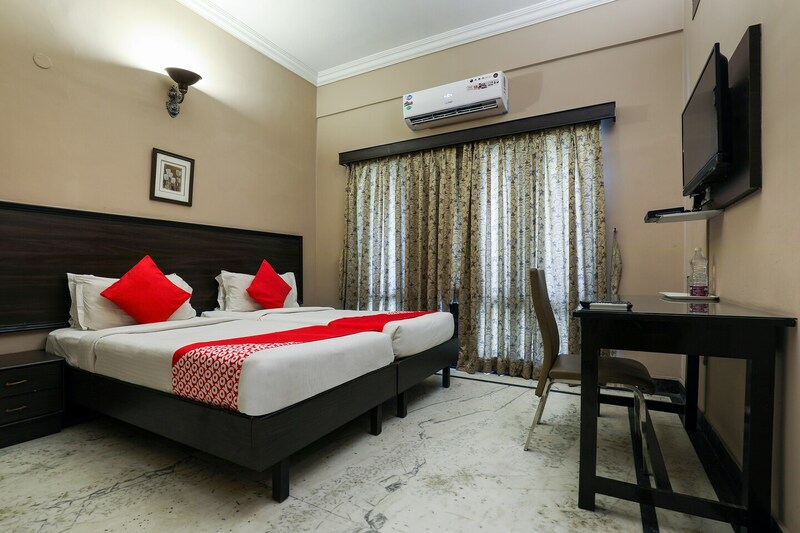 Offering comfort and great services at budget rates, OYO 15241 Gen X Banjara by 1589 Hotels in Hyderabad is an ideal lodging for travelers touring the city. The OYO is maintained with a skilled and friendly staff to ensure you have a good stay. The rooms are equipped with modern amenities like Dining Area, Complimentary Breakfast, In-house Restaurant and much more. To make the most of your visit, head out to famous tourist spots like Birla Mandir, B.M. Birla Science Museum and Ts State Archaeology Museum. Need cash? There is Citibank, HDFC Bank Branch and UCO Bank nearby this property.